I don’t make ice cream sodas or floats often, but I really like them. I was inspired to make this fruity-tasting float after I saw a recipe in a recent issue of Better Homes and Gardens. This is float is made with raspberry sorbet and grape soda. Just use your favorite brand of grape soda and raspberry sorbet–and if you can’t find raspberry sorbet in your grocery store, you can substitute raspberry sherbet. I tried it both ways and it’s good with both sorbet and sherbet. I was a little disappointed because my grape soda seemed a little flat, so the float wasn’t quite so bubbly as I had hoped it would be. One other thing I tried was substituting sparkling red grape juice for the grape soda, and I really liked that, too. Since I don’t drink a lot of soda pop because of all the sugar, using the sparking grape juice is a good less-sugary option! Add scoops of sorbet or sherbet to your chilled glass, then pour grape soda (or sparkling grape juice) in until glass is full. Add some frozen raspberries on top for a garnish, if desired. Serve immediately. The raspberry and grape flavors taste great together! You’ll have to try this out next the time you want a cool, fizzy treat! 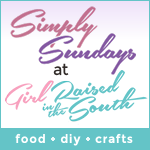 Linked to Fiesta Friday, Weekend Potluck, Saturday Soiree, Simply Sundays, Nifty Thrifty Sunday, Sunday Features, Inspire Me Monday, Show and Share. 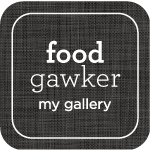 This entry was posted in Beverages/Smoothies, Food and Recipes, Other Desserts, Seasonal, Summer/Summer Holidays and tagged frozen raspberries, grape soda, ice cream float, Raspberry, Sorbet on August 14, 2015 by nancyc. I love it! 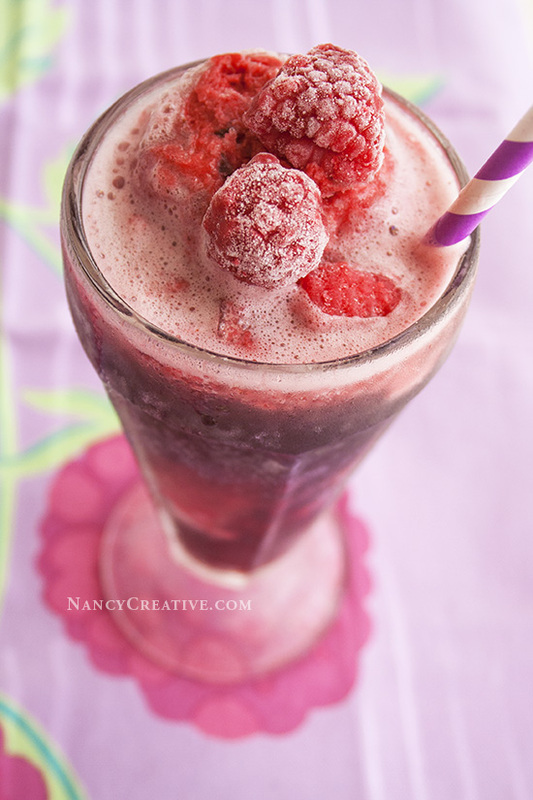 This raspberry grape float is perfect for summer! Thanks for sharing the recipe. I haven’t had a float in a long time, but this one sounds perfect for the summer! I also didn’t know everything had to be kept super cold, but that’s a great tip to remember for next time. Thanks for sharing! So ideal for this hot weather…Very refreshing.. This looks so cold and refreshing, Nancy! I wish I had one right now as it is really hot here lately. I love the idea of adding sorbet to soda. Also, the tips were great, as it would keep it from melting so fast. I have some of those glasses from my great grandma so it would be fun to use them for this!